William K. Perdue Furniture is crafted from beautiful lumber with the same traditional woodworking techniques used for centuries. Farm tables are a highly sought after artifacts from times past. Those historic pieces are the inspiration for William K. Perdue tables. 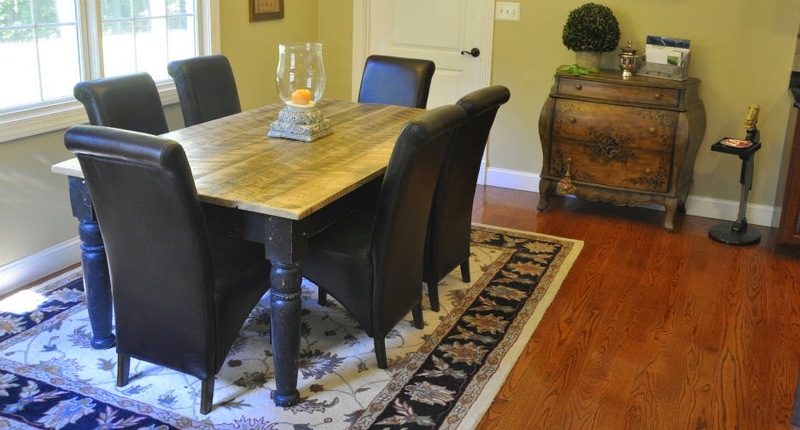 Each piece is crafted from reclaimed lumber salvaged from turn of the century barns, historic homes and local sawmills. All this material is sourced from Central Virginia including Lynchburg and the surrounding Campbell, Amherst, Nelson and Halifax counties. The characteristics of the lumber are ever changing with knots, cracks, checks with markings from nails and hardware. Celebrate this season with family around a William K. Perdue table. An assortment of tables are available at Estates Revisited in Downtown Lynchburg- 1301 Main St. Estates Revisited in Forest-14521 Forest Road. Email williamkperdue@gmail.com if you have any questions. Copyright 2013 William K. Perdue. Simple theme. Powered by Blogger.